With the retail market being extremely competitive, the future is never completely predictable for stores, shops, supermarkets and car showrooms. More and more retailers are opting to expand their premises by choosing to hire or purchase temporary buildings, instead of building a permanent structure on site. Once popular high street stores such as Woolworths and BHS are the perfect example of how a major retailer can suffer financially. Retailers are becoming more careful about what they spend their capital on, with building new stores or extensions to existing stores being a significant decision in affordability. Some retailers have empty storage buildings out of seasons, therefore Temporary Buildings for Seasonal Storage is a perfect solution. While some industries may be secure than others, there is still an unpredictability on future success, but at the same time if business is going well, it may be time to expand. Why Retailers Hire Temporary Buildings? Retailers are looking at more cost-effective ways of developing their businesses so they can expand their premises to stock more items. Temporary buildings have become increasingly popular for a cost-efficient solution to gain more space for less cost, whether you need it to be part of the store of for warehousing. Hiring a temporary building is less of a commitment to retailers, than spending a huge amount of money on building an on-site permanent structure. Permanent buildings not only incur the costs of building materials, an expensive design and building team, but also the consideration for site planning and on-site parking. For the most effective permanent building on site, would your premises need to be re-planned? This can be a major dilemma for businesses, resulting in a new structure taking months or years to complete with incredibly hefty costs involved. Temporary buildings may be thought of as a short-term solution because of the name ‘temporary’. However, this is not the case – temporary structures can in fact last up to around 30 years so could be considered long-term. They are made from durable, lightweight materials that are just as weather-bearing as a permanent building. Temporary buildings can also be bespoke designed depending on your requirements. If you need insulated or non-insulated, a loading bay or other specifications, we can tailor-make your building to your exact needs. We can also attach a temporary structure to one of your existing buildings, to act as a smooth-flowing extension. Temporary buildings are far more cost-effective than building a permanent structure and not only are they cheaper, but they are quick to construct. Structures take on average a few weeks to construct, depending on your requirements. More and more retailers are choosing temporary buildings over planning a permanent build, due to the expense involved and speed of the requirement. Retailers believe that having the additional space would quickly improve your turnover and profits and therefore waiting for a permanent building to be completed may not be possible. It is much quicker for retailers to install a temporary structure so that the ROI can be instant. Retailers that currently use temporary buildings are supermarkets, garden centres, car showrooms and large DIY stores. Most retailers have loading bays integrated into their temporary buildings, so that practical needs are met and the structure is designed to fulfil business requirements. If you expect to need your temporary building for less than 10 years, then it is more cost-efficient to hire a structure. Rental contracts can be extended if required and buildings can be dismantled by our experienced team whenever needed. If the requirement will be for 10+ years, then it may be more cost-effective to purchase the building outright. If you’re a retailer, it’s likely that you sell more seasonal products at different times of year such as Christmas time. 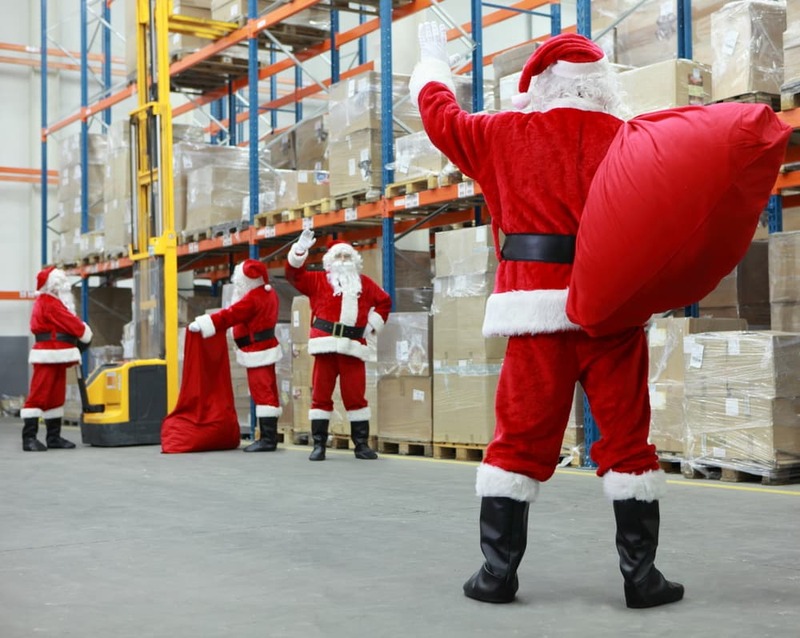 The festive industry is huge and retailers and supermarkets often sell off stock on sale, to create more space for storing the new seasonal stock. 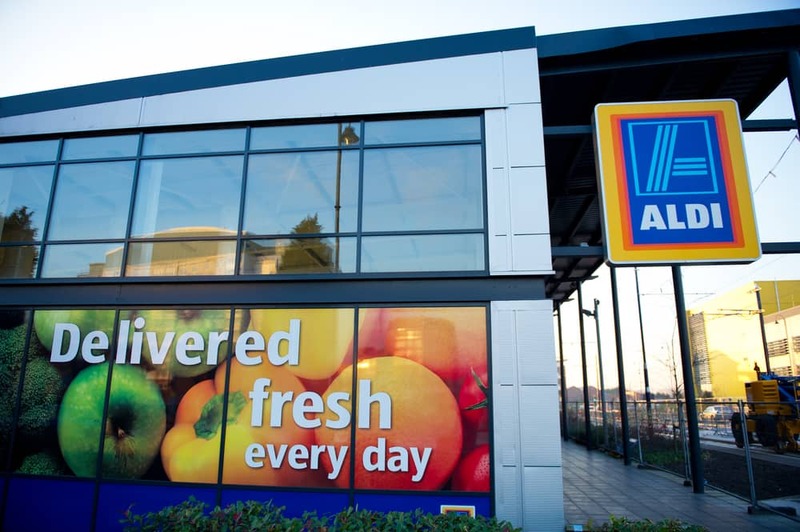 Storage and warehousing for larger supermarkets can be an unpredictable need and in the last decade, even the big players such as Tesco’s are losing money compared to previous years. Investing capital into warehousing is an expensive job especially if the business is already making a loss. So, what are the alternatives to paying hefty building costs and building more space on site? Temporary buildings offer a cheaper alternative to create more space for seasonal stock, whether it’s in the shop or storage. Large retailers that have space on site can quickly have a simple solution that does not cost a fortune and can be erected within a few weeks. The retail trade has become such a competitive industry now with the online marketplace, so the careful saving of costs whenever possible, is critical to keep the business running. Spending out on building on site or even moving premises, is going to be costly and an upheaval to the day to day running of the business. Temporary buildings are cost-effective and a quick and easy solution for any retail business that is expanding, whether it’s on a seasonal basis or not. Over the last few years, supermarkets have reported a drop from December profits, resulting in disappointing Christmas trading compared to before. However, the months of November and December are still one of the most profitable times of the year, so supermarkets will continue to take advantage of selling seasonal products during this time. Many supermarkets are benefitting in creating extra space to either display or store seasonal brands by hiring temporary buildings. Constructing temporary buildings on site is a much more cost-effective way of bringing in more stock, rather than paying a big expense and building on site. 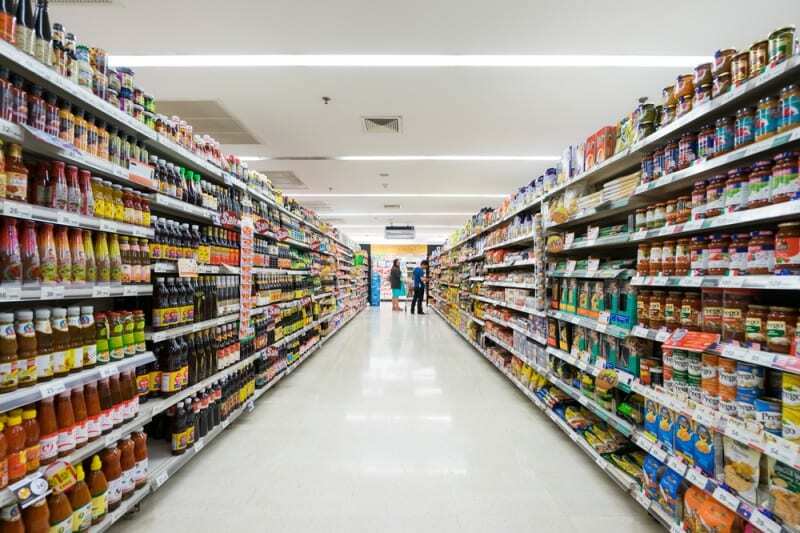 Seasonal products are only stored and sold at certain times of year, meaning there is no need for additional space at any other time but to benefit from those busy months each year, a supermarket still needs to consider storage. Garden centres and large retailers are saving money by hiring or purchasing temporary buildings for sale. This is the perfect solution if they need to increase space temporarily to hold seasonal stock in storage or on display in the shop. Retailers such as DIY giants Homebase and B&Q can have a temporary answer to adding more stock at Christmas or in the summer, also having simple storage solutions if needed. Temporary buildings can be hired for as little as 3 months for up to 30 years. The materials are strong, durable and lightweight, making the construction quick and easy. Temporary buildings for hire can be paid over a sensible monthly payment plan, so retailers know exactly what they’re paying and are staying within budget. 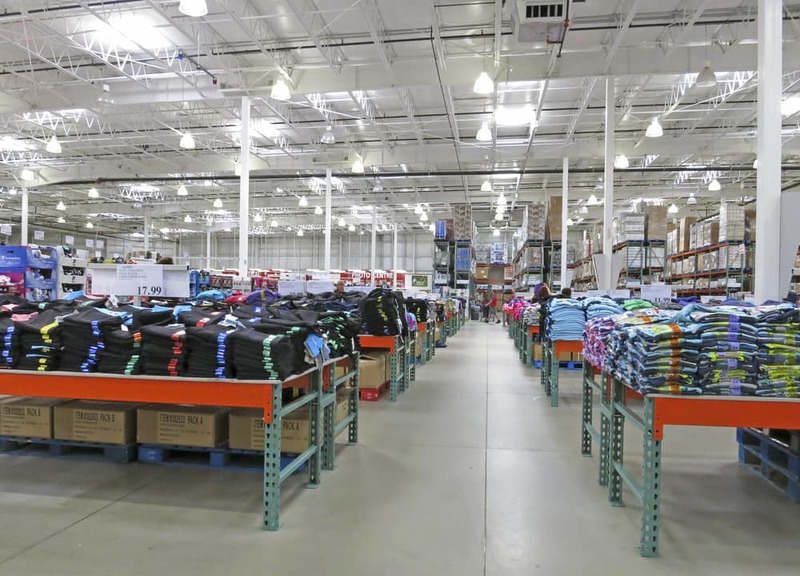 Retail businesses cannot develop and grow without adding more lines and products to their shops, so requirements for more space and warehousing is often a common issue that needs to be resolved. Temporary buildings have become one of the best solutions for many businesses, whether they are manufacturers, warehousing, supermarkets or storage facilities. Temporary buildings are a cheaper alternative for businesses and are quick to construct, meaning they are fully usable within a few weeks of deciding you need more space. It’s inevitable that most businesses will require more space as they grow, so choosing to have a temporary building instead of building on site or moving to new premises, is a much more cost-effective solution. Does Your Car Showroom Need More Space? Car showrooms are one of the retail businesses that specifically need a big amount of space, so many of them choose to use temporary buildings. The structures are adaptable and strong and can be the perfect solution to requiring more space. Car showrooms need large space to hold several vehicles at a time and extra room can often be needed at short notice if they are expecting deliveries. Temporary buildings are the obvious solution and can help boost sales and profitability in car businesses instantly. If the showroom already has temporary structures, then additional space can easily be added on like an extension to the existing showroom. The automotive industry can be unpredictable at times, so financially it makes more sense to be cautious and hire or purchase a temporary building, rather than invest a lot of capital in building. Why Use Temporary Buildings for Car Showrooms? When it comes to investing in space to be able to show more vehicles to the public, most car showrooms need something which is functional, smart and clean. 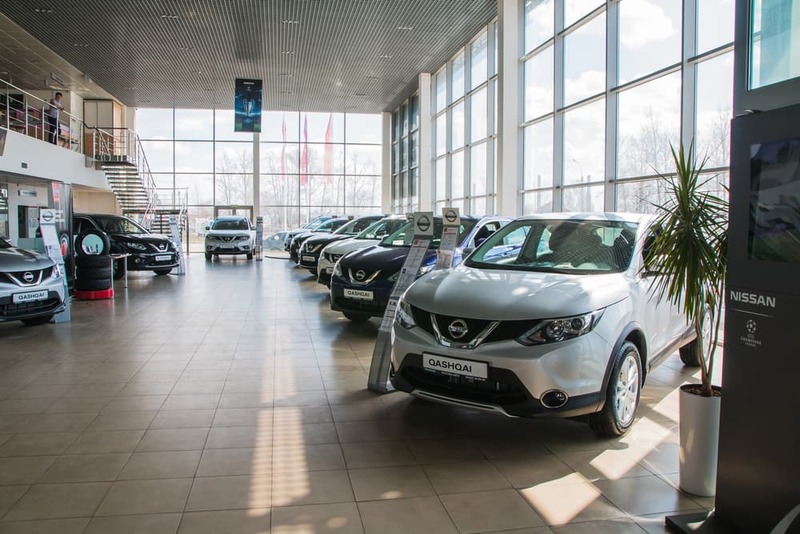 Building a car showroom can be extremely costly, and it can take months to appoint a buildings team and plan the site. Materials are expensive, especially for such a large space and unless you’re a market leader in the automotive industry, you won’t necessarily have the ready cash to build. This explains why car showrooms are now regularly using temporary buildings instead. A structure can be bespoke designed if needed and planned around the existing site, giving your car showroom a perfectly practical space that is ready to use. Temporary buildings are much quicker to construct, giving the ideal solution for showrooms owners. Why Are Temporary Buildings Cost-Effective for Retailers? Temporary buildings for car showrooms are a cost-effective solution to creating more space, without the hefty costs of building on site or moving premises. Whether you need the extra space for as short a time as 3 months or for longer. Although the word ‘temporary’ suggests only a short-term use, temporary buildings can actually last for around 30 years. The structures are made from lightweight materials that are strong, durable and adaptable. If you’re looking for a long-term solution then it makes more financial sense to purchase a temporary building, however if you’re unsure how long you need it, then you can rent it instead. If your retail requirements fluctuate with onsite storage, then it’s worth considering the cheaper alternatives to save costs. Creating warehousing and more storage space is a good sign of a successful retailer, however when there isn’t a permanent need for larger premises or extra storage then it’s worth contemplating the options that are available. Shops, car showrooms and other retailers are now opting for temporary structures for warehousing and storage and at such an affordable cost with incredible flexibility, it is worth considering. Temporary structures not only avoid outlay costs but also offer the choice of expanding further if needed, and have many additional benefits compared to building permanent structures. Many retail distributors are often busier at certain times of the year, especially during the beginning of each season. Whether you’re a garden centre needing more space in Spring or a retailer that manufactures more products around the festive period, there may be a requirement for extra storage. Cheap temporary storage is a good and viable option for a businesses and retailers, provides an economical solution to demands, ensuring that you’re not paying out all year round for space. Temporary warehousing and storage is a much cheaper alternative to building a permanent structure on site, or indeed needing to move to larger premises, even though it’s only seasonal. It makes no financial sense for a retailer to invest in new buildings or to move the entire company, if you only need it for a few months of the year. Installing cheap temporary storage on your site premises offers you an affordable solution avoiding commitment, legalities and capital expenditure. It provides you with a short-term solution and is not a financial burden on the company, allowing you to invest in more important aspects for continued retail business development. Temporary storage avoids planning permission and is already compliant with building regulations. It can be custom-built and can be constructed in a matter of days so that you have a quick and easy solution. Could Your Retail Business Benefit from Cheap Temporary Storage? Any business should consider cheap temporary storage as an affordable and quick solution. Whether your company is a multi-national chain or an independent retail business, temporary structures are often far more financially beneficial. Some companies consider moving to larger premises when they have outgrown their site and while this may be an obvious solution, it comes with many downfalls. Finding new premises can take time and it must be a suitable location for staff and vehicle access. The site must meet all requirements of the business and if any additional building or changes need to be made, then it will be at a cost. Increasing your premises size not only gives you more warehouse space, but also the extra cost of fitting the buildings with suitable fixtures to meet storage demands. You may also need to pay out for office equipment if you are increasing your staff. Many retailers already use cheap temporary storage, many of which are supermarkets, car showrooms, garden centres, or even online commercial and retails e-commerce sites. There is no typical industry or sector which uses temporary buildings, although many retailers are discovering that it is an affordable option to moving premises or building on site. If you are considering a temporary building for your retail business or car showroom, then contact us today. We will be more than happy to discuss your requirements and give you the best advice that is cost-effective, practical and suitable for your business needs.